With the European summer fast approaching, Manchester label Freakin909 aims to evoke those beachside-Ibiza-vibes with its latest release ‘I Won’t Back Down’, a potential sun-drenched house number. 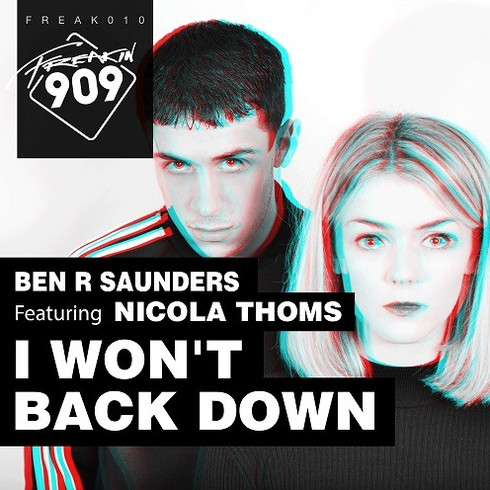 ‘I Won’t Back Down’ is a collaboration between up-and-coming London DJ/producer, Ben R Saunders, and fellow Londoner, Nicola Thoms who features on vocals. The Original Mix, fuses warm piano and synth stabs with crisp percussive tones and funky, deep basslines; creating a layered groove. The Dub Mix goes deeper, bringing the track’s funky and soulful tones to the forefront, where the vocal ebbs and flows in layers and inflections, with decent results. Check it out below, it’s out this week. Thanks for any other informative web site. Where else could I am getting that type of information written in such an ideal method? I've a challenge that I am simply now working on, and I've been at the glance out for such information.